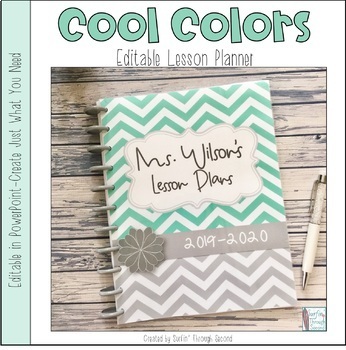 This is a simple lesson planner with fun Cool Colors to make your planning a breeze. It can be bound or placed in a binder. 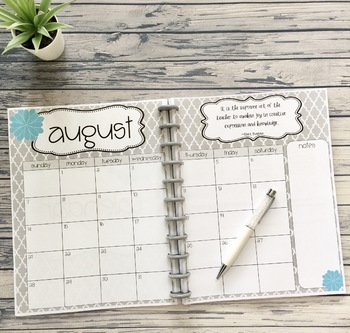 -Blank Calendar Template can be used with any school year. 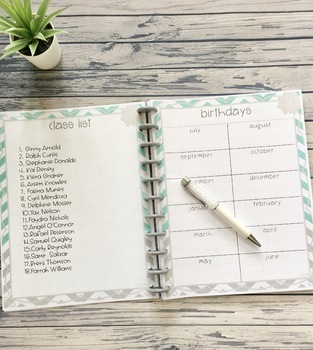 Planning Pages include 4 different colors to choose from. Fun summer colors in Chevron and Quatrefoil patterns. This is a zip file that needs to be opened in Powerpoint to edit. I have also included a PDF version if you just want to print certain pages without editing. Simply add a text box or graphics over the template. The template itself cannot be changed. 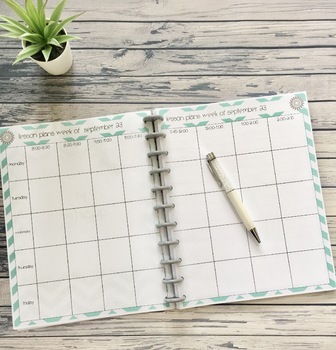 I had many requests to make this planner editable. Please check out my blog post below. I also created a tutorial to show how to edit the planner in Powerpoint.